Today: A ragù that works around your schedule -- and might even be better than Nonna's, thanks to a secret ingredient or four. 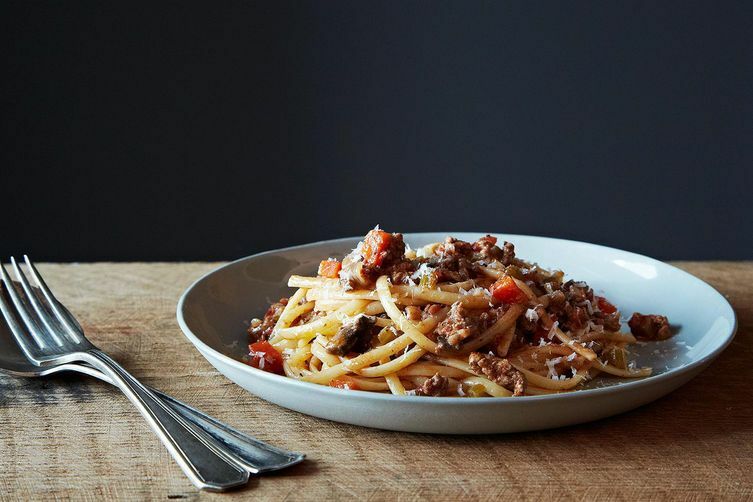 It you're looking to make a correct bolognese or a definitive bolognese -- and you're looking to do so while avoiding scolding -- this is not the recipe for you. 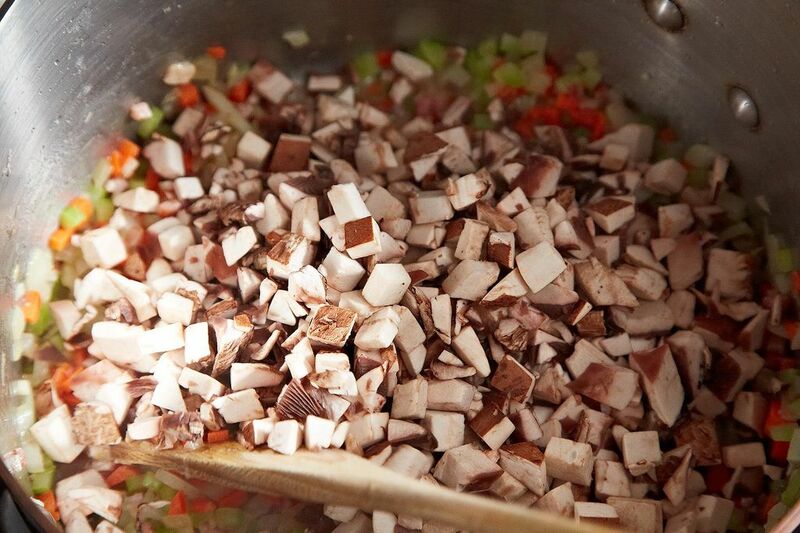 There are times to make Bologna's saucy gift to the world -- a proper version, in all its delicate, slow-cooked glory. Let us appreciate it, and cook it sometimes -- but (please) let us also then play around with it, and make it new, ours, and, in our various ways, better. 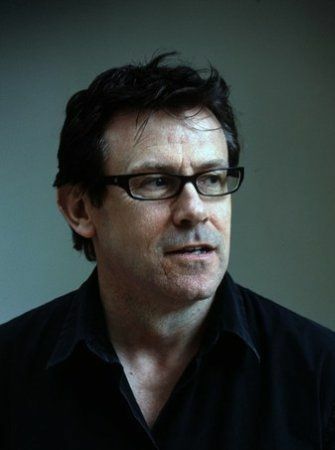 Nigel Slater's version in The Kitchen Diaries is humbly named: "A really good spaghetti bolognese" doesn't begin to cover it. But it's not correct. 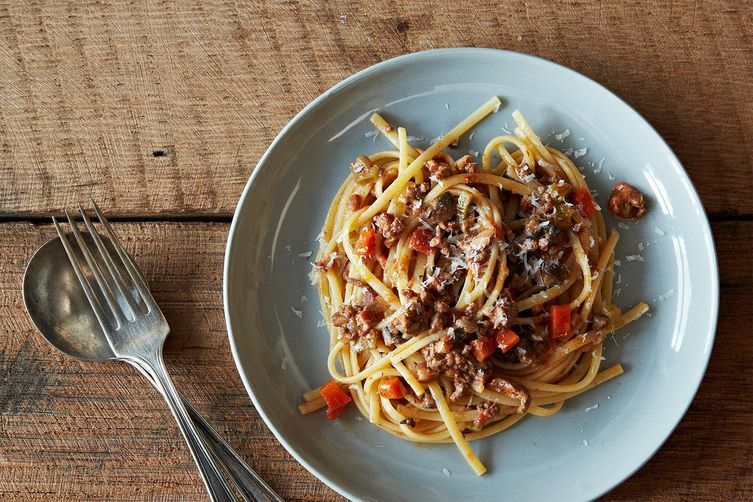 In just about every way, it does the opposite of Marcella Hazan's bolognese, by many accounts the Platonic ideal. More: Tomato sauce with onion and butter, another Platonic ideal from Marcella Hazan. Hazan speaks to her sauce quietly, over long stretches. Plain ingredients -- ground beef, onion, celery, carrot -- melt. She doesn't brown a thing; she doesn't raise the knob above medium. "No less than 3 hours is necessary, more is better," she says. And that's after you've already watched tides of milk, then white wine, then tomatoes ebb away at a very, very slow simmer. When you have a Sunday to loll near the stove, do this. 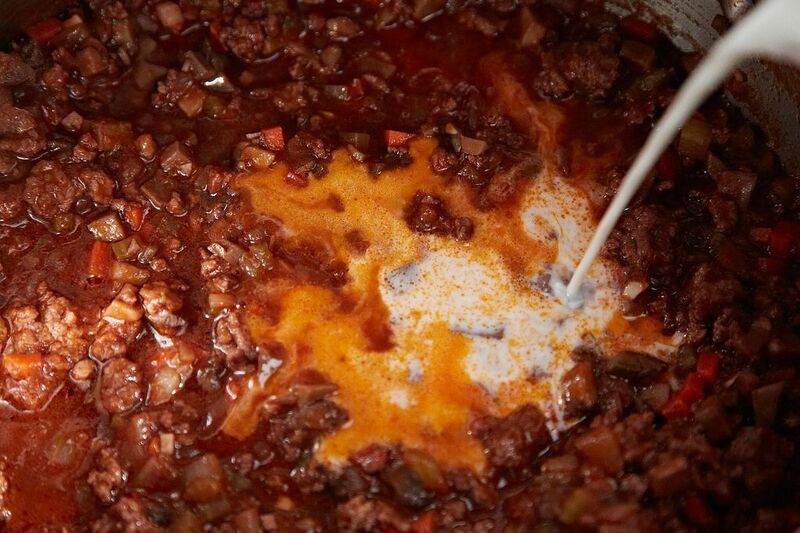 If you want to really understand a classic bolognese, stand by, tasting here and there to see how the sauce mellows and sweetens and swells with time. To be fair, Hazan notes that you can stop at any point, then resume. But that doesn't get you to dinner in time for tonight. In Slater's blasphemous, really good recipe, every step is brilliantly layered within the others, so that while your onions are softening, you're chopping carrots and celery; once they're in, it's onto the next. The recipe is a model of kitchen efficiency and focus. If you're a compulsive mise-en-placer, that's okay (see ingredient shot above) -- you can still follow along. Unlike in Hazan's standard of patience and virtue, heat gets cranked, and bits are left to color. 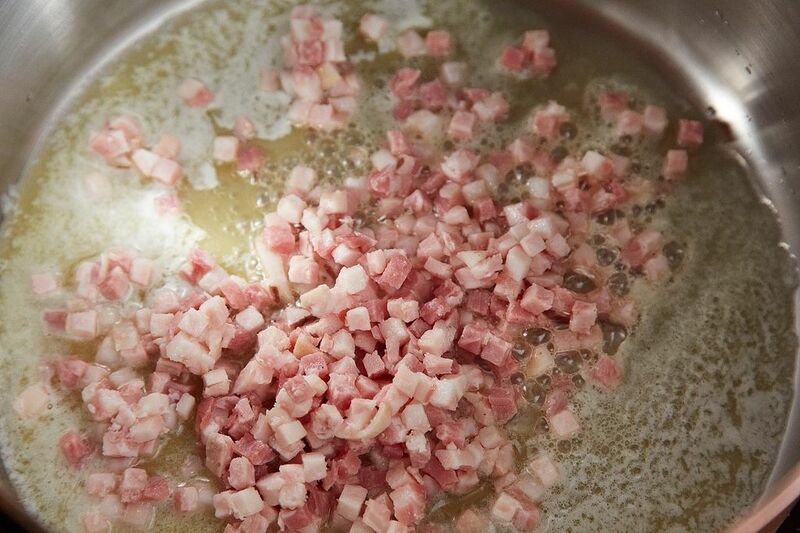 On top of workaday soffrito, Slater pulls from the large-and-in-charge ingredient roster: there's pancetta, red wine, bay leaves. If you're feeling really hungry and feisty, there's even a ground lamb option, and it is outstanding. 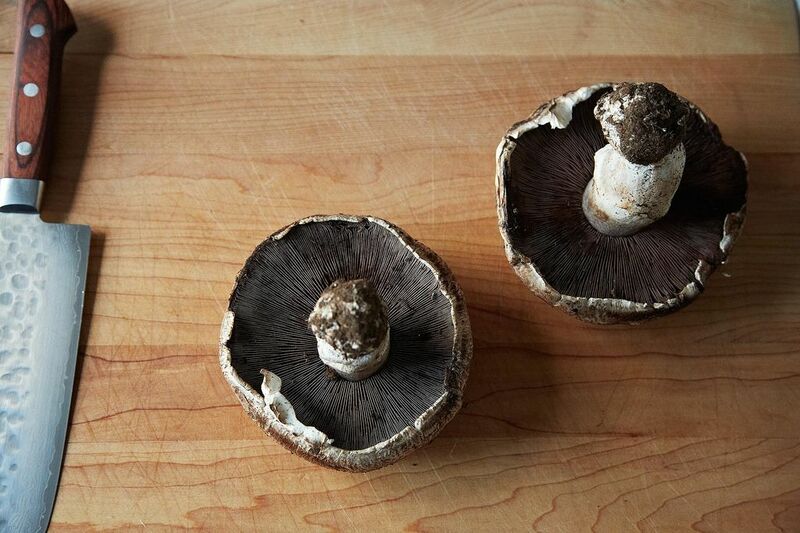 Perhaps most genius of all: there are portobello mushrooms. 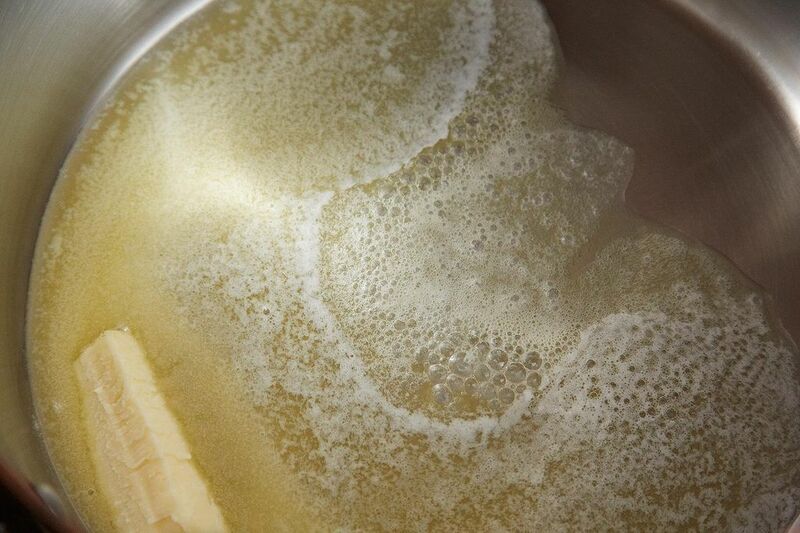 Not only do the mushrooms plump up the earthy notes and umami, they also go all buttery and soft. Any textural subtlety you've lost in cooking your sauce a bit more aggressively is returned with the swollen swish of portobello. 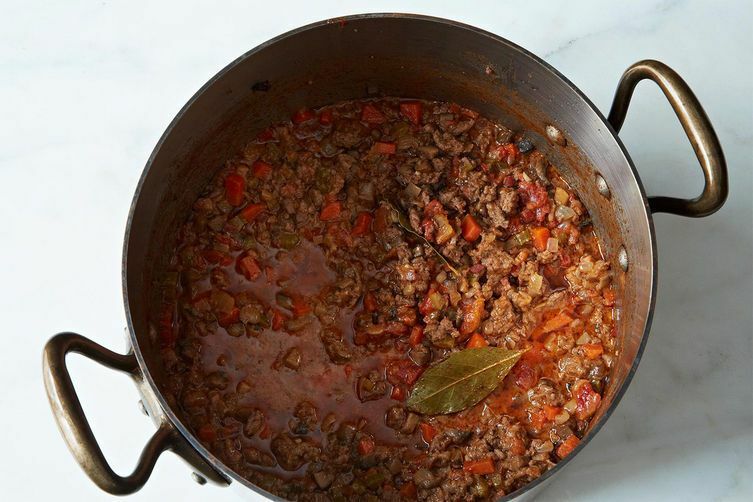 In about an hour and a half, you have an exceptionally supple, meaty ragù, one you'll consider eating without the interruption of pasta, or anything else on the plate. But about that pasta. Slater calls for spaghetti. Counterpoint, Hazan: "Meat sauce in Bologna is never served over spaghetti." Fresh tagliatelle, yes. Lasagne, classic. Fresh tortellini, good. Twirly dry shapes like rigatoni, conchiglie, fusilli, irreproachable. We used linguine. Not irreproachable. But really good. 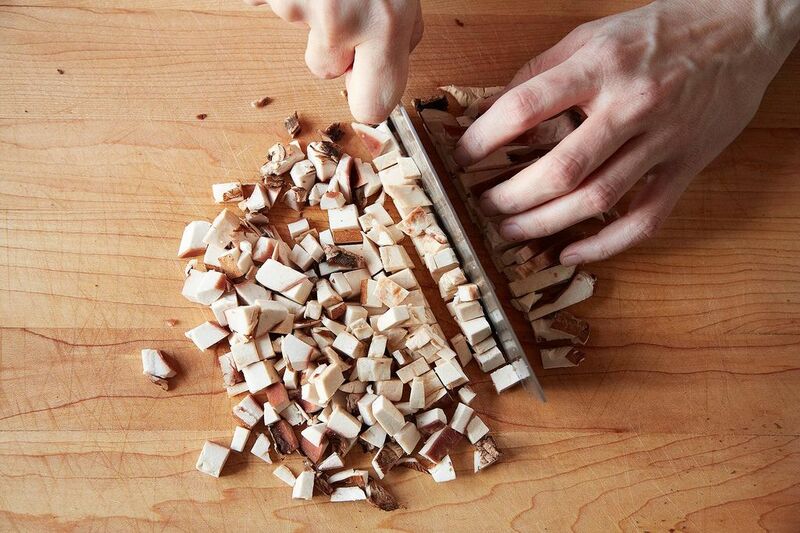 "I made it during the week," Food52er JadeTree told me when she sent it my way, "since I had a rare hour of freedom to chop (and chop you will), but we all agreed that this is company food, hands down. Just because you want a bigger crowd to marvel over it." Got a genius recipe to share -- from a classic cookbook, an online source, or anywhere, really? Please send it my way (and tell me what's so smart about it) at [email protected]. Thanks to Food52er JadeTree for this one! Perfect dish for a snow day! A lovely dish. Always fun to try something different from the norm. This isn't really a tomato sauce, most of the tomato in an ordinary Bolognese has been replaced with cream and stock. An ok recipe, but hardly an improvement. The mushrooms are Portabella, not Portobello. Actually the spelling is "portobello". I looked it up. I found some people do spell it with an "a" however. Certainly looks like a tomato sauce to me. What would this sauce be without tomatoes? Wish I could get ground lamb in our tiny town. Buying lamb at all is very expensive here. Most of our lamb is exported. Personally, I would like ground pork or Italian pork sausage. A new supermarket is going to open this summer with an actual butcher so maybe I can get lamb then. It's a quarter the tomato of a standard Bolognese for the amount of other ingredients; the base is more cream than tomato. As far as Portobello, the intermittently dependable Wikipedia does allow it for the mature mushroom, so have at it. Saw the answer in the very last comment...either will do. Is beef or chicken stock used in this recipe? I have been partial to Cook's Illustrated's perfect Bolognaise but this is intriguing and I can' wait to try it! No anchovy? Seems like a missed opportunity. 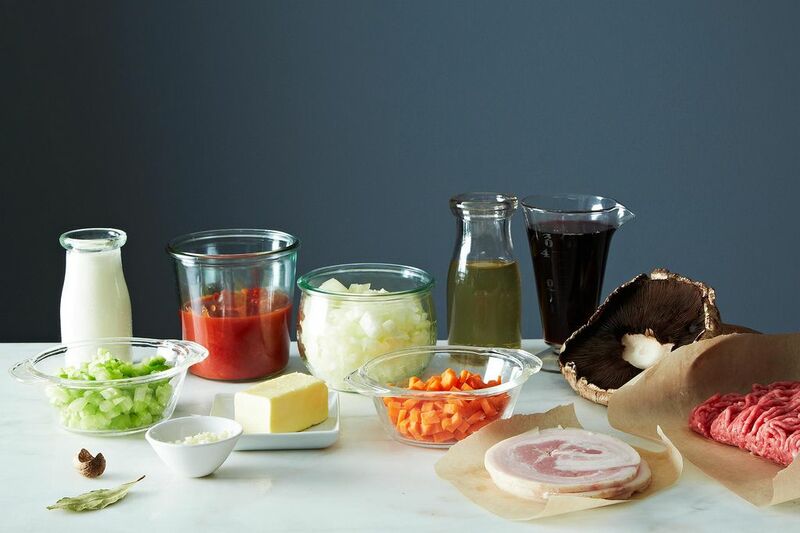 Where can I buy the handy little bowls and bottles shown in the picture of the ingredients above? LOVE IT! I changed it up based on ingredients on hand, but used 1.5 beef and 1/5 italian sausage. didn't have pancetta so skipped it, but added some oregano and basil (can't do sauce without it!). This recipe is really to die for...I will never go back to my standby! 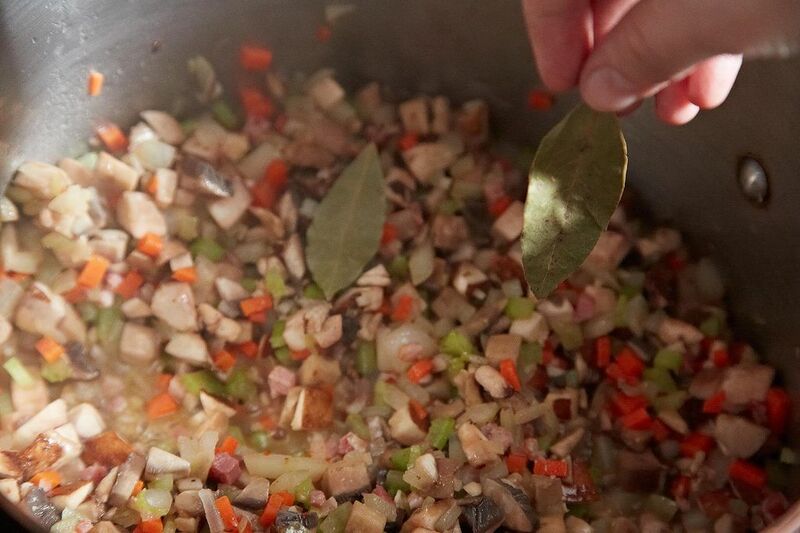 the recipe states to use "stock", what kind? 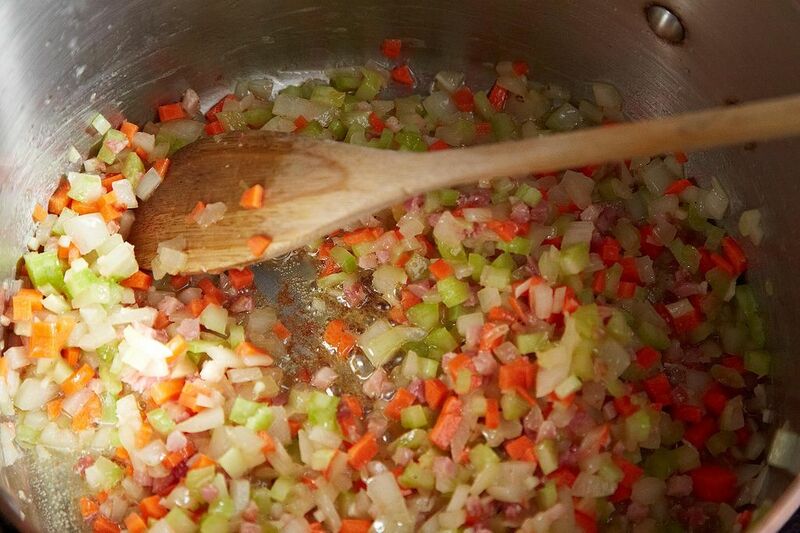 I add cinnamon in place of the nutmeg and it makes a yummy, yummy flavor to the sauce. Just had this for dinner tonight and "Wow" was it good. Followed the directions exactly using spaghetti pasta and ground lamb. Looking forward to sharing it with friends next time. This is a definite "keeper". 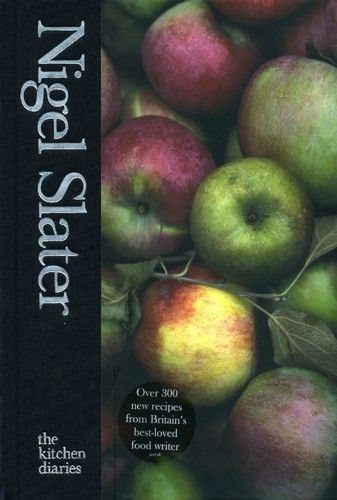 I'll be searching out more recipes by Nigel Slater. Thanks. I don't care much for lamb or beef. Would this be good with ground turkey or chicken? I made this with lamb for a dinner party and it was outstanding. Thank you for a total keeper. I made this tonight and it was really good, just as its name promises. I'm not a big fan of portobello mushrooms but I loved them here. I was cooking for someone who can't have any alcohol, so I omitted the red wine and slightly increased the tomato and added red wine vinegar. That worked really well. The only thing I'd do differently next time is add a little less cream, since I found the full amount to dull the flavors slightly. This is not a Bolognese sauce!!!!! I agree it is a gross misnomer. Sadly, any spaghetti sauce with tomatoes and meat in it and a few other things often gets called bolognaise (or Bolognese) sauce these days. But it still looks like a tasty sauce. I seriously understand how you feel. I feel the same about our Mexican cooking. I had to give up fighting it because it has been so "changed" in the U.S. Nowadays, anything with a tortilla is called Mexican. : ) It is not worth an international incident so I whince and bear it. Shirataki noodles made from konjac yams. They also make them with tofu mixed with konjac yam which is suggested to be more like regular wheat pasta noodles. Here is one, but they have others. The ones with tofu + yam have about 20 calories per serving and the yam noodles have 0 carbs. This sauce can also be used on top of tofu or cauliflower or other cooked veggies. Thank you I_Fortuna. I never knew they made noodles out of tofu and yams. I don't have any idea where to get them but I will start by looking in Chinatown (I am in Toronto). Hi Carol, I posted a link in my last post and they have all kinds of low carb food. A health food store and possibly an Asian market may carry them. The tofu/yam combo seems to be the favorite. Thanks I_Fortuna. I had read the nutritional analysis but hadn't noticed you can order them. I will order some now and then look for them in Chinatown when the weather warms up.